Tasting Note: For those of you who are not familiar with natural-yeast fermented wine (or “indigenous-yeast”-fermented wine as winemakers are quick to correctly point out that all yeasts are “natural”), your senses will be pleasantly-engaged with the champagne-yeast, apple and pear-scented nose of this pale, lemon-colored riesling that is slightly sparkling in your glass – similar to the slight sparkle you enjoy in a glass vinho verde. For those aspiring to wine geekdom the technical term for this slight effervescence is called – petillance. I adore visually refreshing wines, and this wine like other petillant sparklers craves to be tasted (I only wish more white wines were made like this, but I digress). The aromas on the nose carry through to the palate along with flavors of partially-fermented-green apple and chalk-dusted pear spritzed with a twist of lemon. This wine’s flavor profile begins at the tip of your tongue going straight down the middle eventually cascading toward the back edges of your tongue with medium-plus to high acidity and a long finish. This dry riesling delivers complexity on the palate beyond that of other rieslings. Could this be result of the indigenous yeast exerting their unique combination of flavors and sense of place in the fermentation of the grapes? Yes. While many enjoy a reflection of terroir in the grape itself, there is a certain giddiness I feel in being able to taste the native indigenous yeast. Does the make one a yeastophile? I for one am willing to accept the hashtag — #yeastophile. 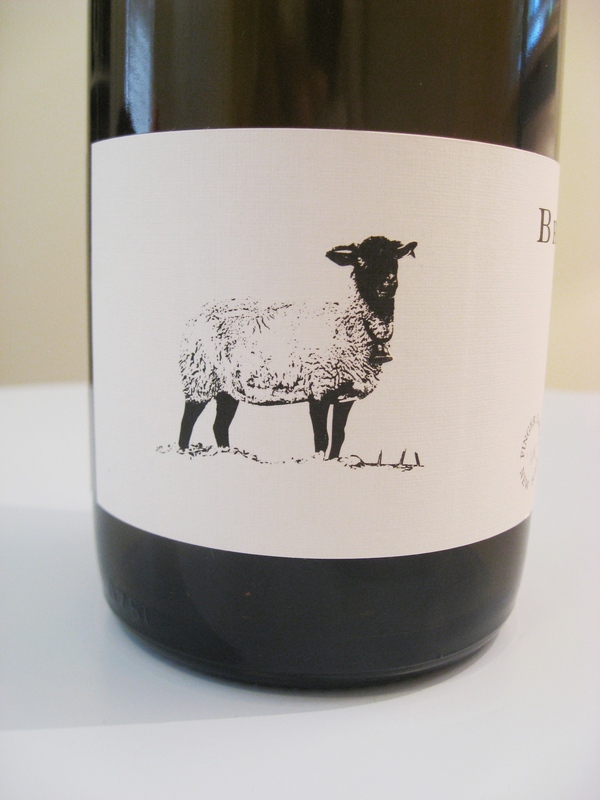 Bottle Note: Bellwether Wine Cellars produces single vineyard riesling and pinot noir, allowing for the true expression of Finger Lakes terroir. Tuller Vineyard is located on the West side of Seneca Lake. This riesling was allowed to spontaneously ferment over a period of ten months. A touch of residual sugar brings this wine off-dry wine into balance. 151 cases produced. Total Acidity: 8.8, pH: 2.9, Residual Sugar: 1.25%.